Experience an endless variety of sounds - convenient and easy. Simply press the snare lever back for turning the snare sound on or off. 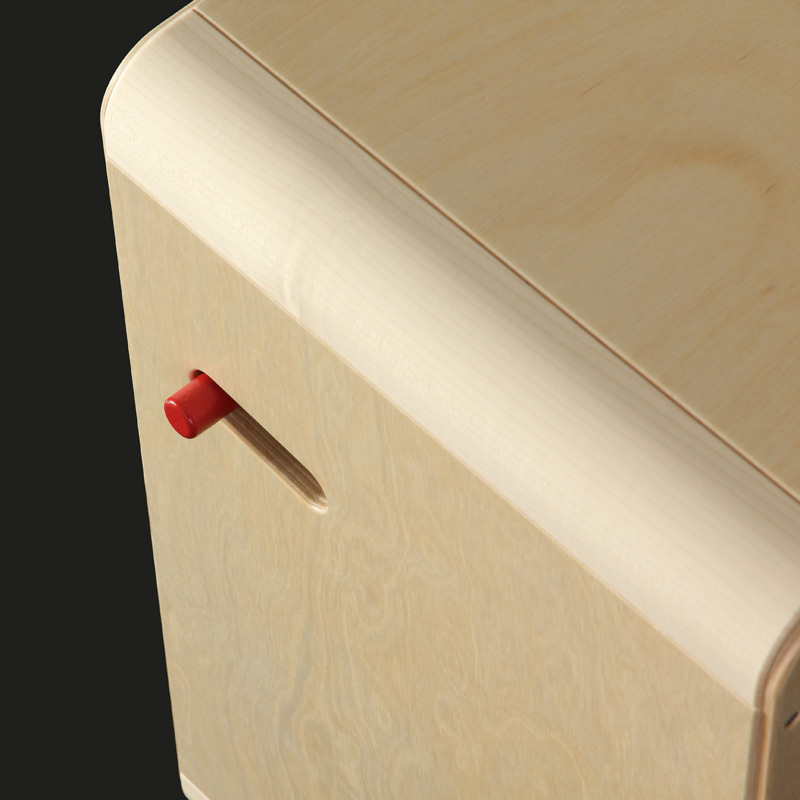 The ergonomically optimal position of the lever enables a lightning-fast switching while playing. 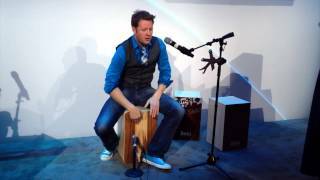 When the snare is deactivated you get a traditional Peruvian Cajon, with a fine response and conga-like sound. 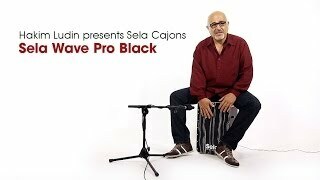 If you switch the snare on again, you get the typical Sela sound with a differentiated bass and snare sound. The sound of the snare can be attenuated or amplified according to your taste. 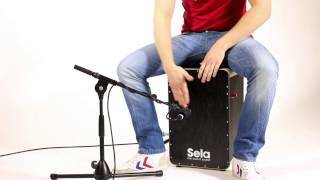 Thanks to the Sela Snare System, it is also possible to use a second snare head. 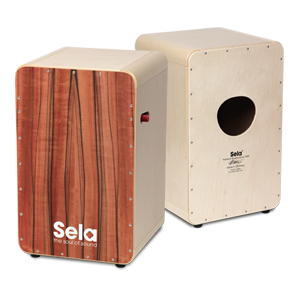 Additionally the CaSela has individually adjustable clap corners, which provide unlimited sound possibilities. Simply press the snare lever back for turning the snare sound on or off. 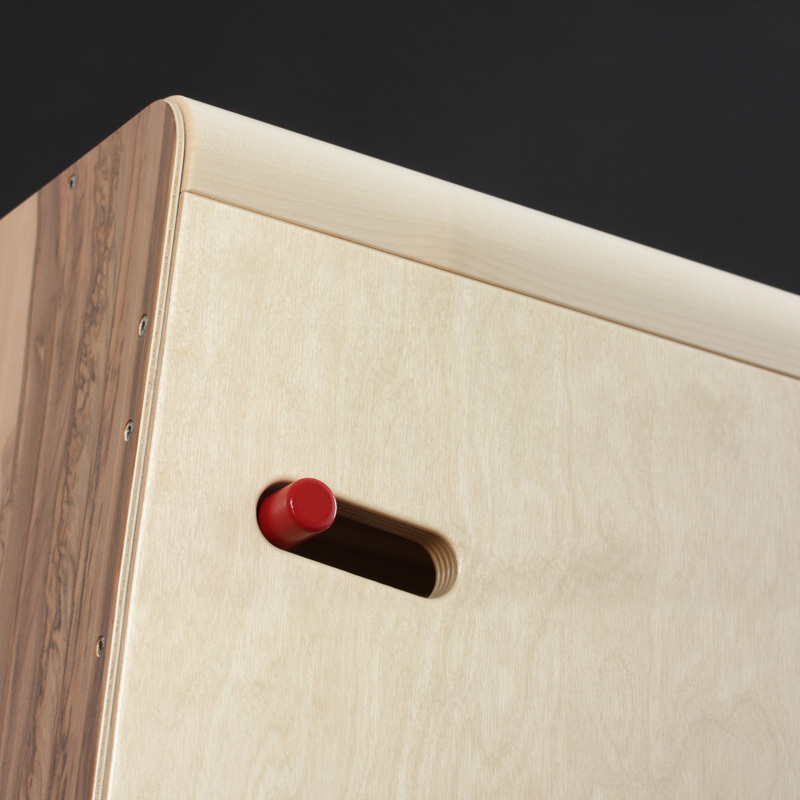 The ergonomically optimal position of the lever enables a lightning-fast switching while playing. 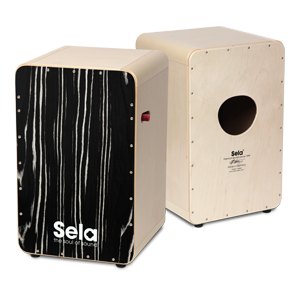 Thanks to the Sela Snare System, it is also possible to use a second snare head.